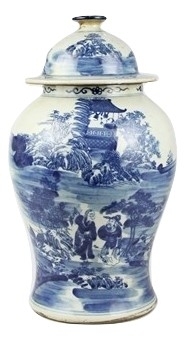 The late February/early March porcelain presale is on for two days only and a ginger jar giveaway! Hello friends and Happy Valentine’s Day! You can start now doing a little happy dance because today is a good day to be vising TEH! The late Feb/early March container sale is on as of this morning. As I do every time we have a container en route, the entire contents go on sale at special presale pricing for 2 days. A great chance to reserve a special something you might have had your eyes on and let’s face it, we all deserve a special little something gifted to us by us for Valentine’s Day! ITEM 1. 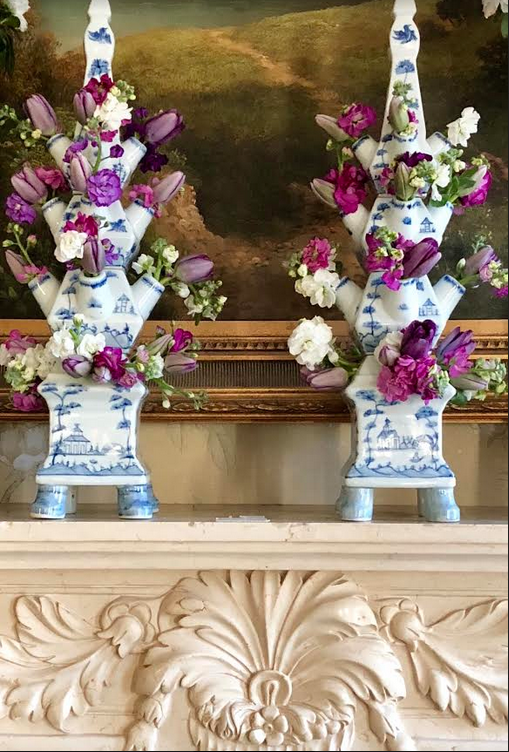 Just in time for spring my newest style village scene handpainted tulipieres are making a comeback and were an instant hit when I introduced them about two months ago. As this was a new style, I didn’t go crazy with the quantities last time but more are on the way in all three sizes! I will be getting more in the April container. ITEM 10. The original style of my tulipieres are coming back finally in small and medium, these always sell out and with good reason, they are spectacular and with spring around the corner, there is no better time to own one (or two)! ITEM 17. 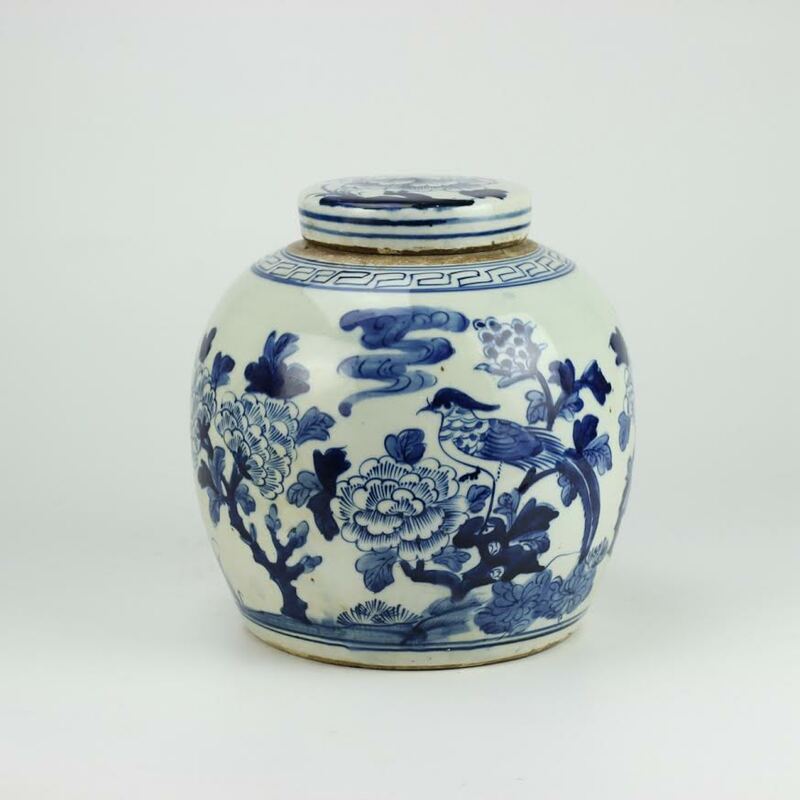 The plum/cherry blossom blue jar is coming back and is one exquisite jar. 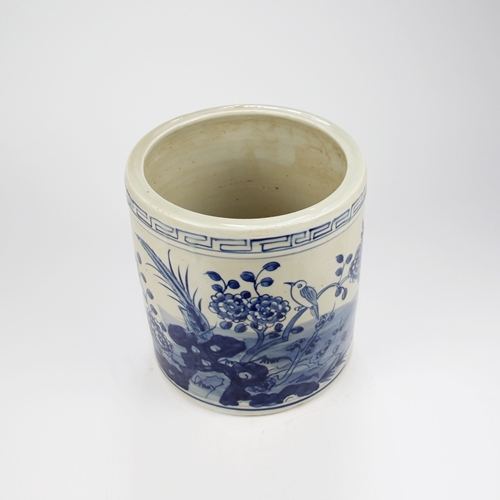 A real standout piece, beautiful mixed in with other porcelains or gorgeous as a pair. Measures 17.75″ x 10.5″ at its widest $130.00 OR a pair for $250.00! ITEM 21. This incredible sold out new arrival is coming back. We sold out immediately the first time and this time I have doubled up to be sure there are plenty! This was replicated after an antique English planter I have owned for years, it is amazing how it is a carbon copy of the original. Truly exquisite, all hand painted with beautiful real gold leaf detailing. And that is a wrap folks! Many beauties and this post kind of gets me in the mood to do some redecorating especially with spring not so far away! Thanks for stopping by, until next time…..
Hi Tina, of all of your wonderful giveaways… this is my absolute favorite. As always, your new shipment is amazing. I love all of your selections and it is hard to get just one item. Still loving your ornaments! It was hard to put them away. I am swooning over that wine bucket…..just in time for Spring/Summer!!!! Love is in the air with the new Pheasant Ginger Jar! I ❤️ It! Love all the ginger jars! And love your English planter!!! Still head over heels for the planters! So very special. What a beauty that ginger jar is. It would look sensational in my new living room!! I love everything! I need a bigger house! So many gorgeous pieces! 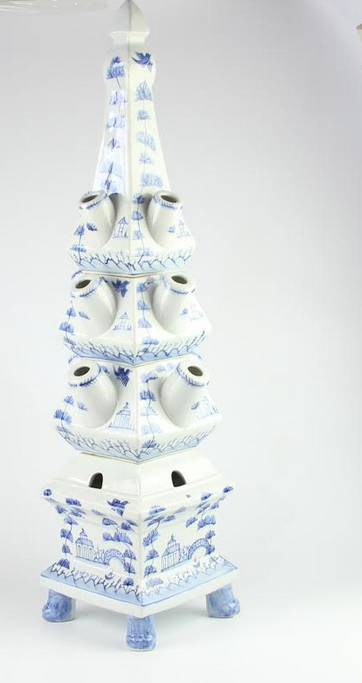 Can’t get enough of blue & white porcelain! 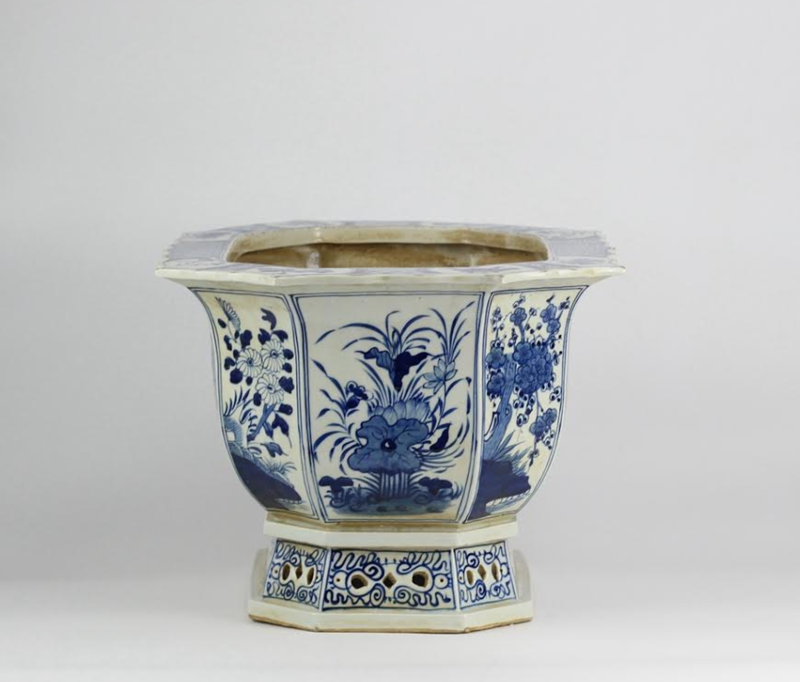 The English planter (Item 21) is such an exquisite replica of your antique planters shown as a pair on your dining table. They are just beautiful. Tina, you have such style and talent. The white transitional ginger jars are lovely! Absolutely the most gorgeous blue and white ever!!! Happy Valentines Day. Really like the white ginger jar; so versatile. Still waiting for the cute bunnies. Love all of the items! Happy Valentines! I’m in love with it all , But items 17 and 18 Have really caught my eye!! Loving the new wine bucket! Such a charming g addition to your fabulous collection! Will be ordering that for sure! Absolutely love my pair of pagoda sconces that arrived last week! Thank you! 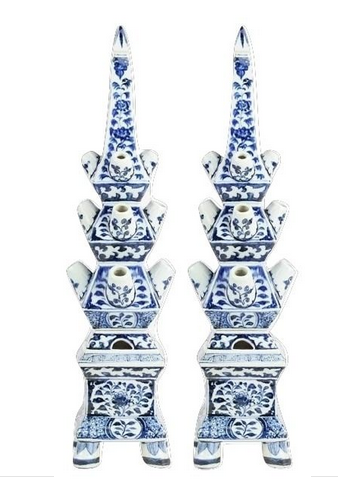 Tina, you have the best blue and white porcelains I have ever seen! I always look forward to your new offerings so I can add them to my EH collection. Wonderful pieces, loving the garden seat with raised ‘bump’ detail & new mid-sized ginger jar! Love, love, love the jar! Everything is so lovely… the little foo dogs remind me of flying home from Korea handcarrying a set of jade foo dogs as a gift for a family member… they were so heavy and felt like a sack of rocks!!! I just love those antique English planters. I am really enjoying my tulipieres, and can’t wait to use them for Easter! 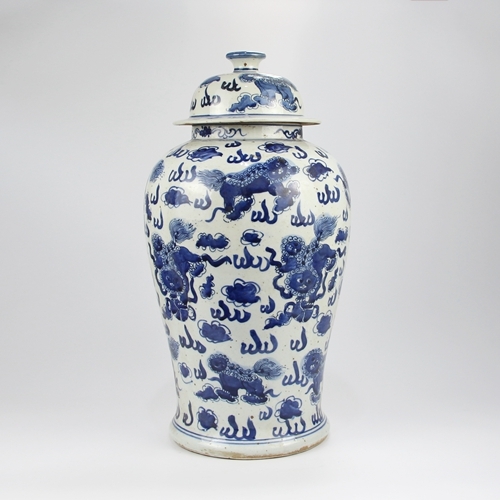 Having a hard time deciding on the ginger jars……so beautiful! 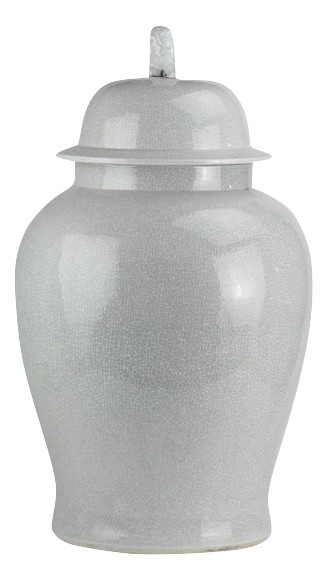 The large pale gray ginger jar with the crackled finish is stunning….they would be lovely in my living room! Please enter my name in the giveaway drawing! BEAUTIFUL! Love, love, love the blue and white jars. Great accessories to any home! hard to choose….all are outstanding! Blue-and-white is exquisite in any shape and size. Beautiful designs! All the items are absolutely beautiful! Love them all! Happy Valentine’s Day! Love the chunky ginger jar you said was your very first one! My favorite are is the lion jar! So whimsical. Happy Valentines Day Everyone! As always, Beautiful! I love the bowl with the scene and the new fishbowl. Thank you for beautiful selection! I knew when I woke and saw the rain It was going to be a blue day…Who knew! 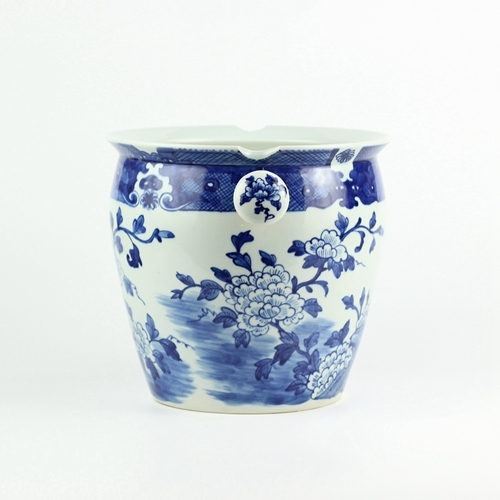 Love all your items, especially the new blue and white wine bucket and the white ginger jar! Beautiful! I love the tulipieres !!!! Everything is wonderful– but just may buy the tulipiere. Wonderful pieces you have coming! Enjoy! Love the English planter and the white ginger jar. Actually love it all…. On Valentine’s Day you always steal my heart with ITEM 5, the incredible village bowl!! It’s such a classic piece of porcelain, fits into traditional, modern and eclectic decor and should be in everyone’s home. I have two and wish I could find room for more. 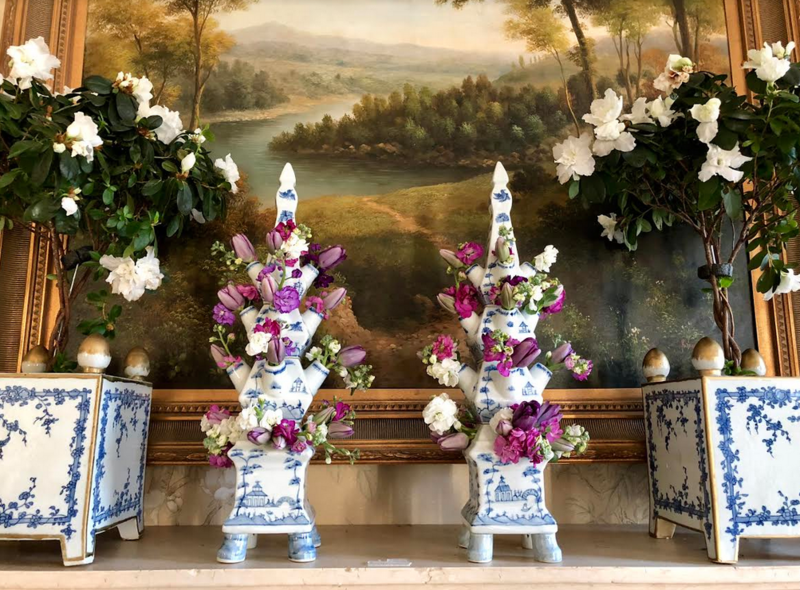 I’m just loving the thought of two tulipieres on my dining room table for Easter dinner! All very tempting and Beautiful! So glad I got a pair of the tulipieres! Simply cannot wait for them to arrive. Some really beautiful pieces here! I love anything with a foo dog. Hands down you have created the most beautiful blue and white merchandise I’ve ever seen. Well done Tina. So many georgeous pieces. Would love any and all to grace our home. Happy Valentine’s Day! All of your choices are stunning ! In love with it all, can’t decide which one to own! Love all of these, but the garden seats are beautiful and would love to get one someday. 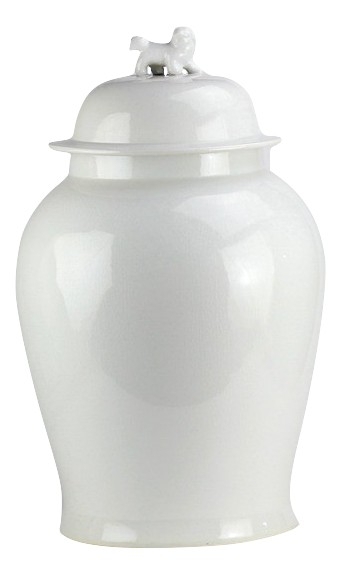 Also, the large, white, grey vases are gorgeous. So many wonderful blue and whites. Difficult to pick just one but #17, plum/blue ginger jar is my ‘must have’. Always a thrill to see your new items and old favorites! Happy Valentines Day! Love them all but number 12 is a beauty! Thanks! So many beautiful pieces…so hard to choose, love them all! Oh I just love every single one of these. Unfortunately the sale this time I’m not able to choose anything. There are some other higher priority obligations which must come first this time. Some things have to come before treating myself sadly. But maybe next time. Something I’d very much like to see is all three sizes of tulipieres together. I’m having a hard time envisioning the three sizes. Also, years ago, was ginger actually stored in ginger jars? I wish I had seen these years ago when in Holland, one would have come home with me SOMEHOW, or maybe I would have shipped it like the Cookoo Clock. I wish we still had our Camp David and White House tulips to put in some but they stayed at the house when sold. (a story of how we got these should be told off public sites, it pays to live 7 miles from Camp David, yes THAT Camp David). It just occurred to me, this would make a wonderful gift for my mother, the one in our family who began the family tulip craze when she asked me to bring her home tulip bulbs from Holland while I was there during a trip with the college a lifetime ago (in January too which was interesting getting tulip bulbs then, but I did it). My mother was born ON Mother’s Day that year so her birthday is always within a few days of it or every few years, on M’sD again. So, I do two gifts, one personal for birthday, one for the house for M’sD. This would be perfect for M’sD gift with tulip bulbs, again. I’ll keep this in mind. So beautiful! Getting measurements of shelves so I can order properly! So many beautiful things. Really nice selections. Trying to decide which ginger jar I “need” for my Valentines Day gift to myself-great idea Tina! As always I’m in love with all the blue and white. What a valentine surprise. I’ve loved blue and white since I was a little girl. My dear aunt, may she rest in peace, had the most beautiful home full f blue and white. This started my love for it some 65years ago. Love love the wine bucket! How adorable!! Sending the “LUV” to the TEH staff (especially Margaret)! I’m excited about adding to my Blue/White “obsession”! I am seriously considering the foo dogs the dotted pattern on there bodies make them quite distinctive. Trying to narrow down my list……. can’t find an item I want to take off! Each piece is more beautiful than the next. Paradise for a blue and white lover! So many lovely items! I just ordered tulipieres and a garden seat, and I can’t wait for the shipment. The #16 garden seat is so elegant. Love it! 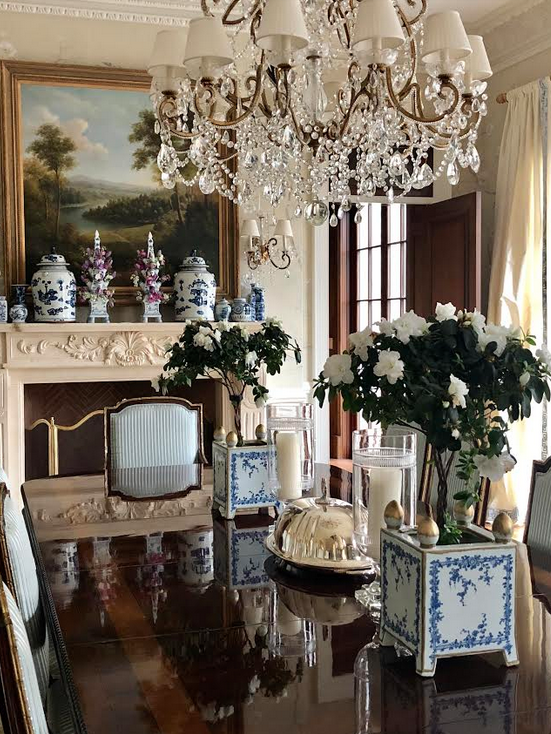 My favorite blue and white displayed so well in your lovely and sophisticated home. Also love the pictures of Teddy. This shipment is just beautiful you have outdone yourself again! I am in love with the new garden seat (#16) the blue bump detailing is so exquisite. This would fit in well with my collection of blue & white! I would put it “front & center”. Beautiful pieces! I want them all! Loving the garden seats! A lot of nice things coming! 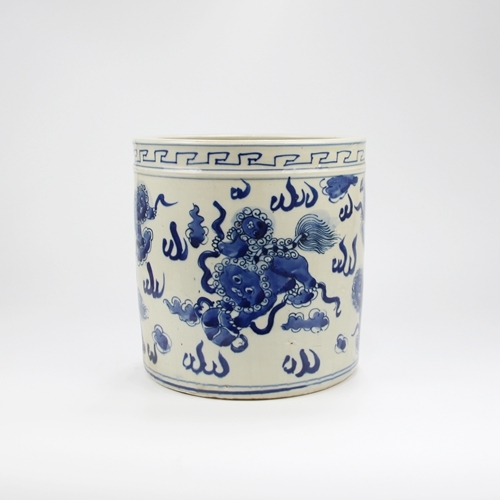 Just received one of your ginger jars and I’m so impressed, looking forward to purchasing again! I see lots of things in this container that would look great in my house! Happy Valentine’s Day! Lovely pieces, per usual. I hope I win! Love the garden stools and wine bucket. Happy Valentine’s Day! 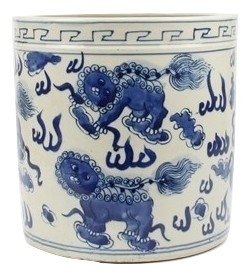 The Blue and White Foo Dogs are just so cute!!! The planters are unique and darling. Happy valentines day❤️ I for sure have the BLUE flu!!! The birds are my favorite. Thank you for all the Teddy pics. Want the garden seat #19. Oh my gosh! So many fabulous items. Love each one! Love to think of spring and what I could do with all your lovely items. The garden stool, the containers to put fresh flowers in and the list goes on and on. May the sky be blue all day and the sun shine warmly so I can dream of spring! Beautiful items! The garden seats are exquisite. I am having a blue and white Valentines Day! Love, love all the porcelain and I am going to add the Tulipieres to my collection. Already have the perfect place picked out for them. The footed pierced plate is a lovely new addition and I can vision cupcakes, cookies, cakes being served in fine fashion. Hope you have a good day and thanks for sharing all the beautiful items and the giveaway. Hope I am the lucky winner. Once again, a beautiful collection from Tina! It’s gorgeous! 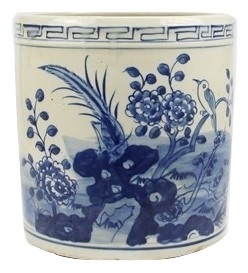 I love all the blue and white porcelain, especially the garden stools. The ginger jars are my favorite. The collection is absolutely gorgeous; I would take one of each! I would take Teddy as well. 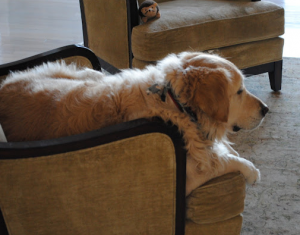 Just adorable on that chair! 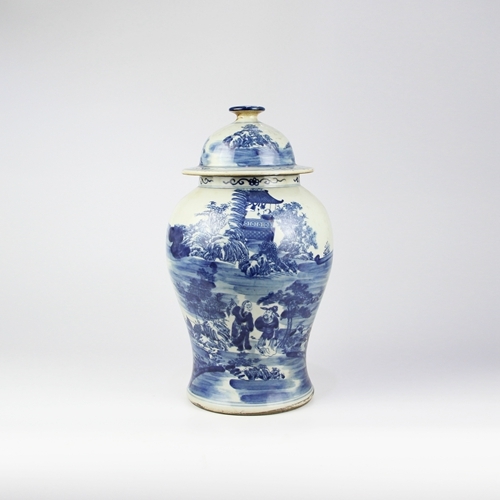 Love all the blue and white, and would love to win the ginger jar! Love the wine bucket and garden seat! My wish list just grew! Loving me some blue and white! Your shipments just get better. As a proud owner of several pieces the piece I am most in love with are the tulipieres, so beautiful. I am using them as centerpiece for our annual golf club ladies luncheon. Have a bunch of new items I am adding to my wish list:-) Well done. I am absolutely ordering item #21- the square tabletop planter! They are just lovely…..and how you displayed on your table- gorgeous!!! Beautiful blue & white everything!! So in love with everything! Can’t wait for the garden seats! I am loving the new garden seat!! Just exquisite! Always love to see your new shipments and dream about buying one of each! Ha! And of course love to see sweet Teddy at the end of each post. Oh my! Numbers 16 and 18 are so stunning! They would make terrific focal points in any home. So excited about all of the new things arriving soon. New to blue and white! So pretty! Love all your blue and white! I love all of your blue and white selections! I can’t wait to receive my order! Oh my goodness gracious! I want all of these gorgeous items! Placing my order ASAP!!!! 😍 Your taste is exquisite! Great stuff…..yet again. Thank you for offering options. And thank you for the give aways. That’s a nice touch. 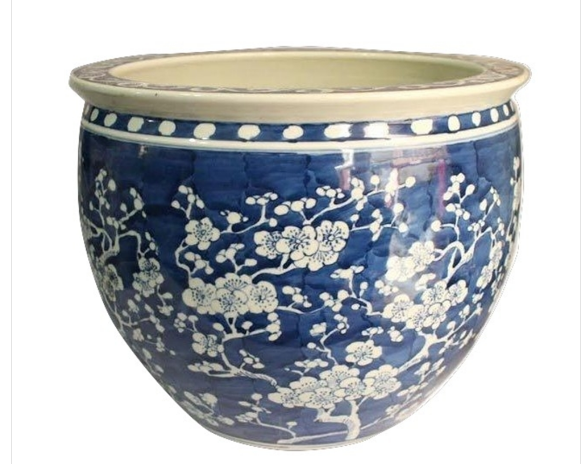 The antique English planters are truly beautiful ! On the top of my list along with about every other item on your shop site. So fabulous ! This is the best place on the net to visit – hands down ! Can hardly wait for my 3 tiered rectangle server to arrive. Will be wonderful for this spring and summer. Love the copy of your antique planter box. 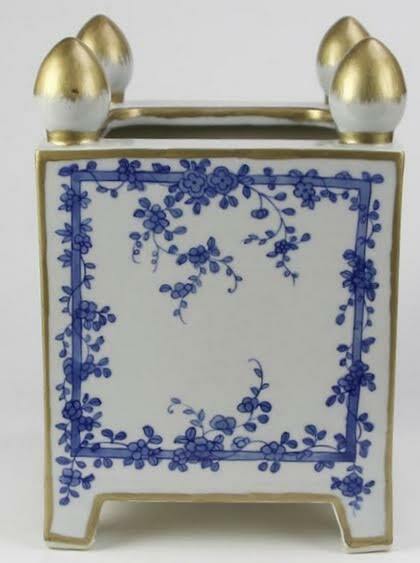 My favorite of the blue white porcelains. Look perfect in your dining room. I love the ginger jar!! 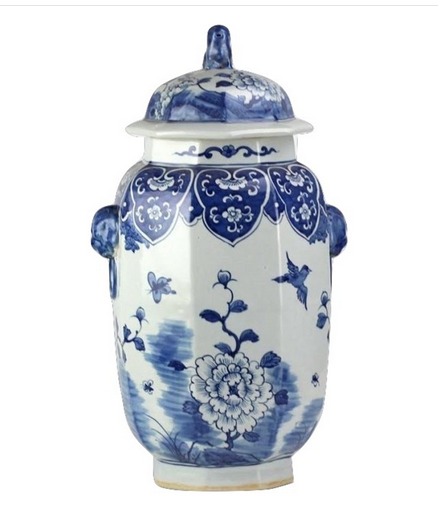 Blue and white ginger jars sre so perfect in any decor. Love them!! I absolutely love #16 garden stool. So beautiful and unique! Thank you for all you do! Love pheasants! They are the most beautiful bird and they make me happy! What a marvelous collection you have Tina. This is all so beautiful! Have my eye on one in particular! Love it all! All I can say is thank goodness one can NEVER have too much blue & white!! Another great batch of goodies! Can’t wait for everything to come in! The garden seats are exquisite! I am in love with the pheasant jar! I am in total awe of the items coming in the next shipment. I am going to place my order ASAP, but not sure I can wait for the container!!! Tina, thank you for all of your hard work to find the best items! Cannot wait!! In love with the cherry blossom fish bowl! All the pieces are just lovely! Absolutely love the new tulipiere style! So beautiful! Hope this can be the start of my ginger jar collection; it’s a beauty! All your new porcelains are so elegant and beautiful! I love all the ginger jars! Love your ginger jars and garden seats! Just beautiful. Thanks for the opportunity. Thank you for the exciting pre-sale and give-away opportunity! Love your replicated English planter! Great selection of blue and white. I adore your blog. I love blue and white. So glad I found you! Prayers for you. I know how much you miss your fur baby. I been there and get it. No words. Love # 2 the wine bucket. The giveaway is beautiful–keeping my fingers crossed! Wow! Loving the wine bucket and the oblong fish bowl with handles! Beautiful as always. Such lovely items to choose from today. . .I’m gradually building a collection:). Thank you!! Tina, so happy to know that all of these wonderful pieces are on the way! As always, everything is beautiful! I am obsessed with absolutely everything on your site and am so happy to be placing my first of many orders! All of these items are gorgeous! 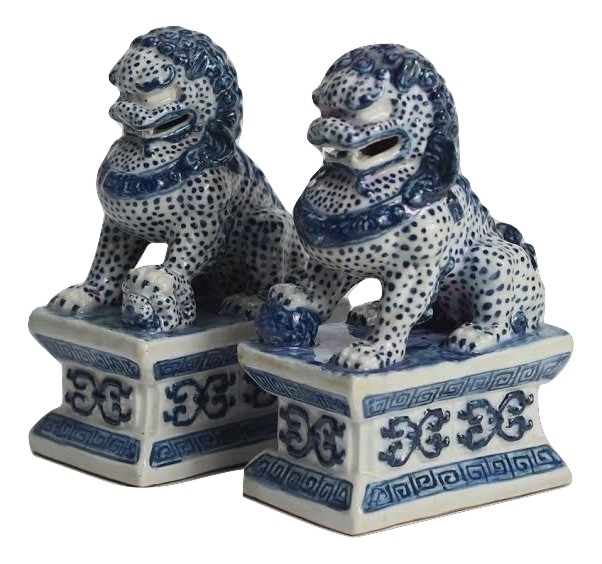 Can’t wait until my Foo dogs arrive! Love, love, the give -@-way ginger jar! 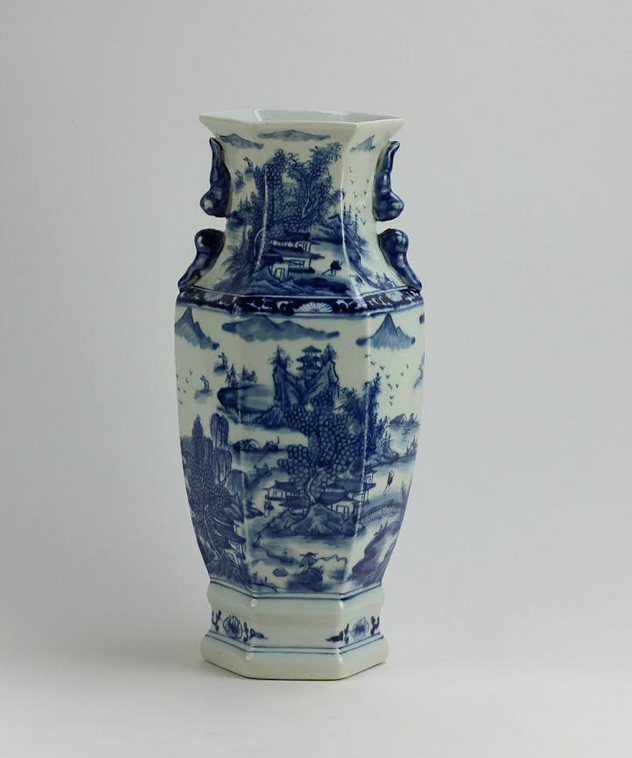 Loving all the blue and white porcelain. A lot of my favorites are in this container. Wow! Love the wine cooler, tulipieres, garden seats, planters, etc., etc., etc. So many favorites, so hard to decide…sigh! A friend called to tell me about your sale since I can no longer get your emails. Your new blue and whites are just fabulous! I am hoping to see your Ralph Lauren vases on sale again. I got the large one (and it is really large) and am waiting for the small ones to be on sale again. Then–buy,buy,buy,buy!!!! Well you have done it again ! What to choose when I want 1 of everything!!! Thank you for bringing us such beauty! 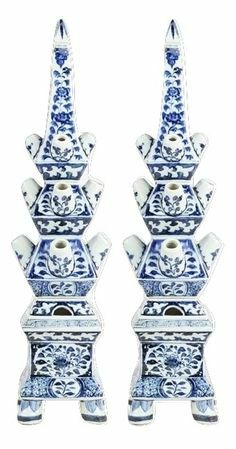 I adore your blue and white porcelain. I am hoping that I can get some shipped to Australia. 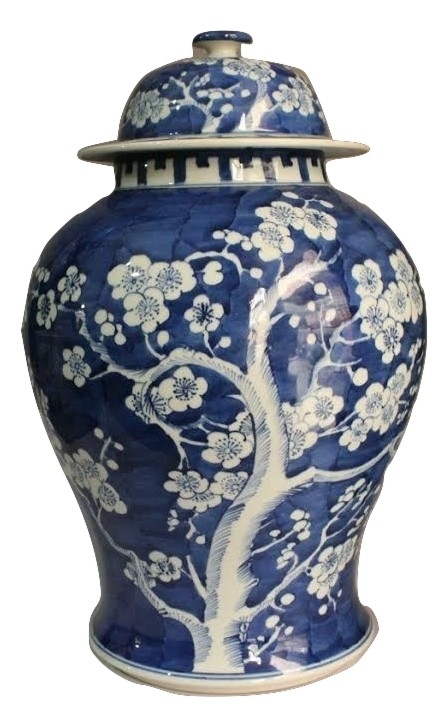 I would really like to decorate my new bathroom which is mostly white, with blue and white Chinoiserie. One of those garden stools would be divine to throw a towel on, and the little brush pot could hold lots of lovely things. If it is big enough I might even be able to use it as a little rubbish bin. 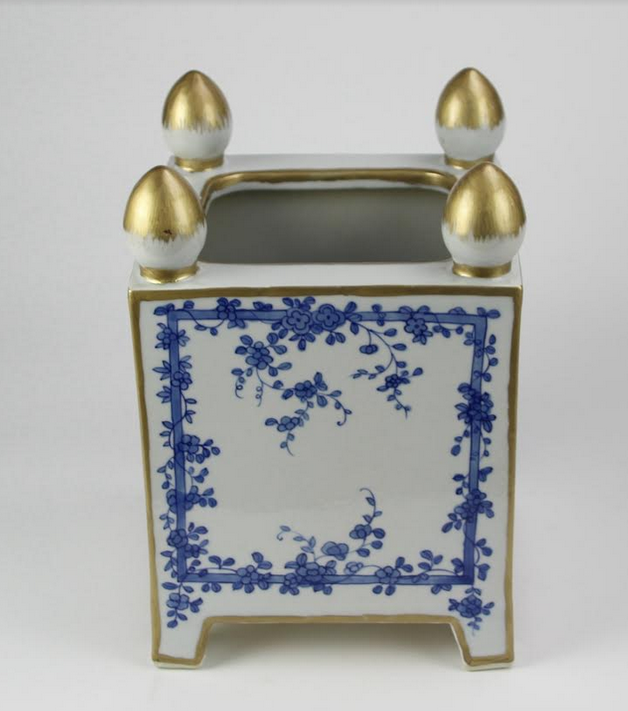 I would love to see you bring out a blue and white chinoiserie liquid soap dispenser. So enjoy perusing all the new “lovelies” each time a new container arrives! 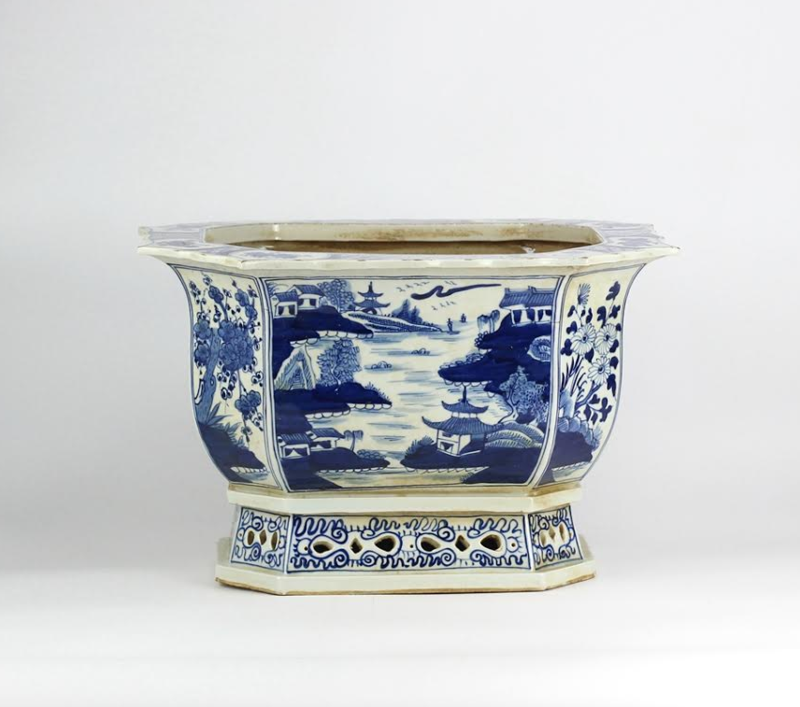 That English Planter is gorgeous! I love the jars with the dark blue background the best, but All are gorgeous! As always the items are beautiful, especially those garden seats! Love the mid-size ginger jar—-then, also love that gorgeous vase! How to choose?!! Loving the white ginger her jar! Love all of your posts ending with Teddy,,,,every time I see a picture of him I tear up, and I never met this adorable fur babie. SO many gorgeous pieces ! The returning favorites are really special. 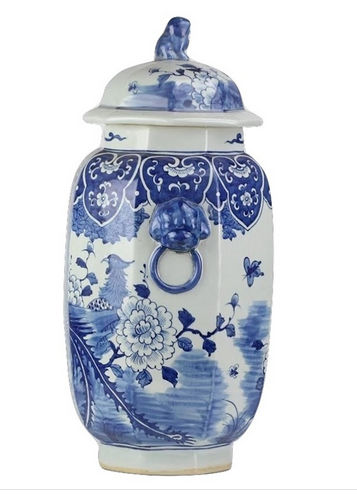 What a beautiful ginger jar for the giveaway. Hope I win !!! Love the planter with the gold details! Such beautiful pieces! Love them all! All SO fabulous ! WOW I need another mantel and a bigger sunroom! Thank you for such a grand assortment. Garden seat is so nice. Happy Valentine’s Day! I love the wine bucket! And love the pictures of Teddy. Absolutely LOVE everything ! But especially love Item # 9, the fishbowl. It is exquisite ! Thanks for making available such beautiful pieces. Love and want them all!! Those foo dogs are calling my name! Beautiful new arrivals. Love the picture of Mr. Teddy! What a lovely Valentine’s Day treat! Love the solid white and gray pieces–they will certainly add an interesting element to any blue and white collection! So many beautiful new things! 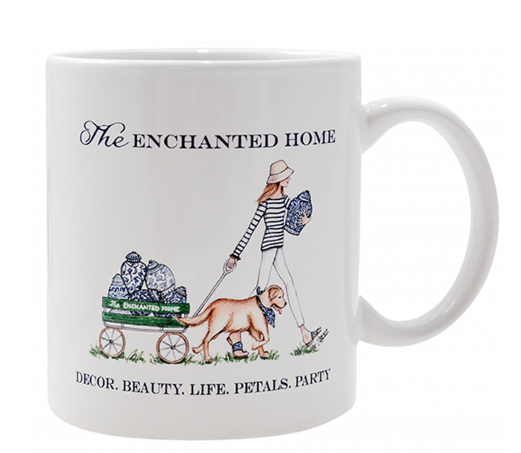 Love those enchanted home mugs! Such an assortment of beautiful pieces. Love my antique planter…gets constant compliments…much thanks! I wish I could buy one of everything and two of most! Never tire of the blue and white. My favorites are always the ginger jars! You have a beautiful selection. As always a feast of beauties! I like the garden seats! This container sale is a beautiful collection! Hard to choose a favorite piece but I love all of the ginger jars. Your collection is beautiful. I would be thrilled with any piece and any would look pretty in my home. The large white ginger jar is exceptional. I’m coveting that piece. Maybe it will find a way to my home. I’ve never seen your sales before, but I am so excited! I love the planters! I’m afraid I can’t resist them! 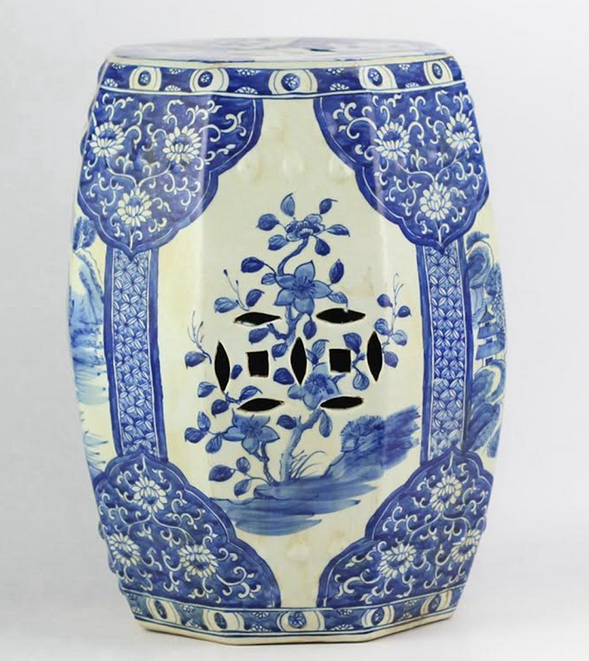 Hi Tina, I’m looking at some of the beautiful ginger jars to purchase!! It’s so hard to narrow it down…love them all!!! Most fitting to share these beautiful pieces on V-Day. Beautiful! One can never have enough blue and white! Timeless! The garden seat with the blue bump design border is just delightful!!! Also LOVE the mini foo dogs. Enchanted Home always has great sales with so many items to choose from….love it!! Love the new pieces! 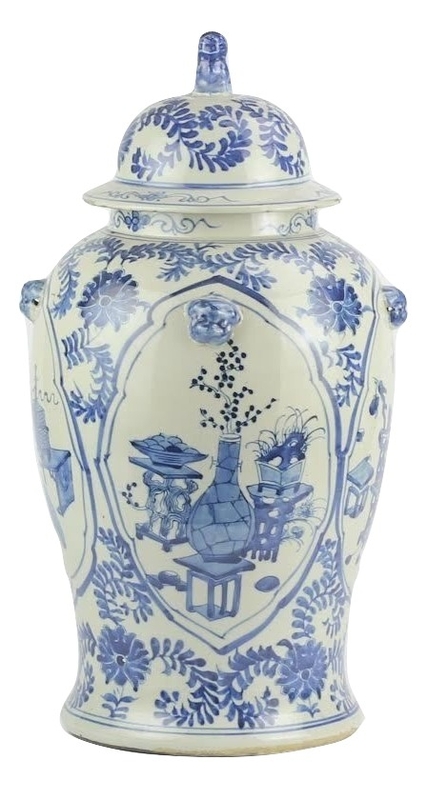 The grand ginger jar resembles Delft to me. 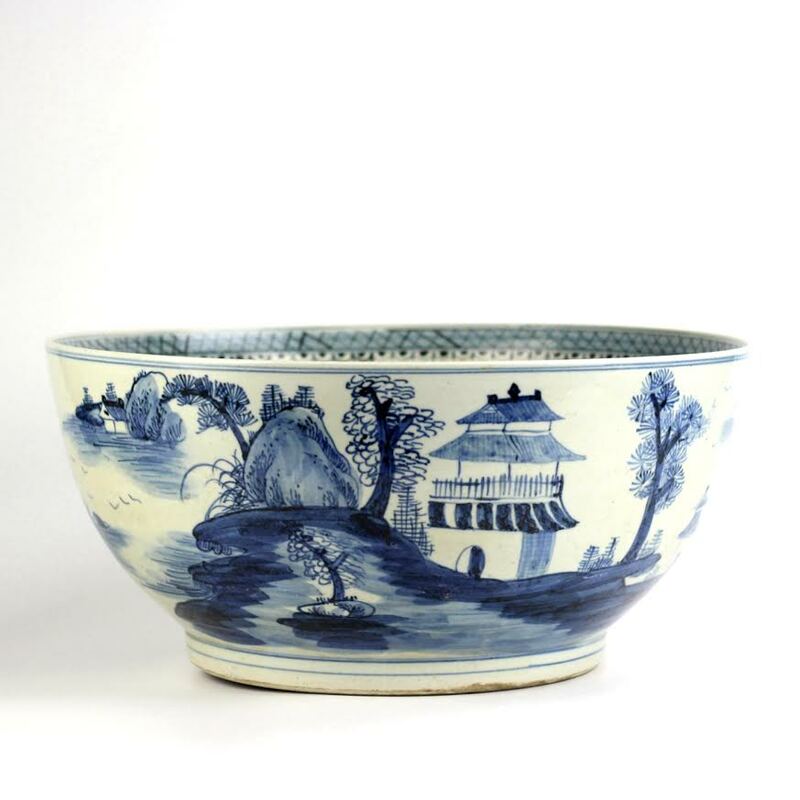 A cup of hot tea and perusing the blue and white porcelain on Tina’s blog= a blissful morning distraction. All of the new pieces are lovely, but i am drooling over the garden seats. I’ve already paid for mid-size tulipiere – can’t wait to get it! Love all the pieces! I can personally attest to the beauty and versatility of the vase (number 14)! I could always use another ginger jar to add to my collection from TEH! Thanks for the chance to win! Everything is pretty! Love the ginger jar. I am redecorating my office and have decided on a blue and white theme. The ginger jar would be a perfect addition! Lovre the pale gray ginger jar! This is a amazing collection of blue and white. Love every item, how can you pick just one! Good Morning! I just recently stumbled upon your website, and I am so happy that I did. I live in South Georgia, and we very much love blue and white down here. I am eagerly awaiting my first order from you, and look forward to more in the future!! My house is slowly turning blue and white! ;) I just love all your porcelains!! Off to buy the new tuliperies!!!!! Love the lighter blue. 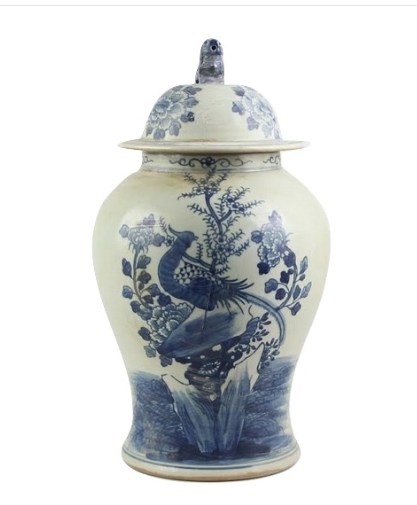 The pheasant jar is lovely and would make a great addition to a blue and white grouping! Love those garden seats & the planter! Wow! The tulipieres are perfect for the tulip season…..the more blooms the better!!! Gorgeous blue and white pieces. Lookingvforwardvto decorating our porch in blue and white this year! Wow! That “bumpy” garden stool is gorgeous!! 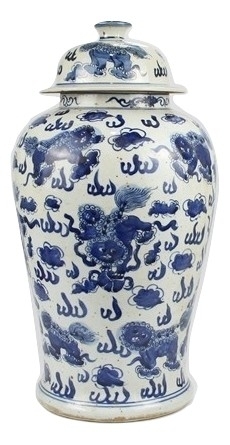 Blue and white exportware has been my favorite forever. It speaks to us and satisfies deep inside. Your things are SO exquisite! The large garden stool and the English planter are my two favorite pieces because they are very sophisticated, and fresh looking! I love starting off my day looking at your beautiful blue and white pieces! Placed my order! Love everything! No ginger jar left behind! 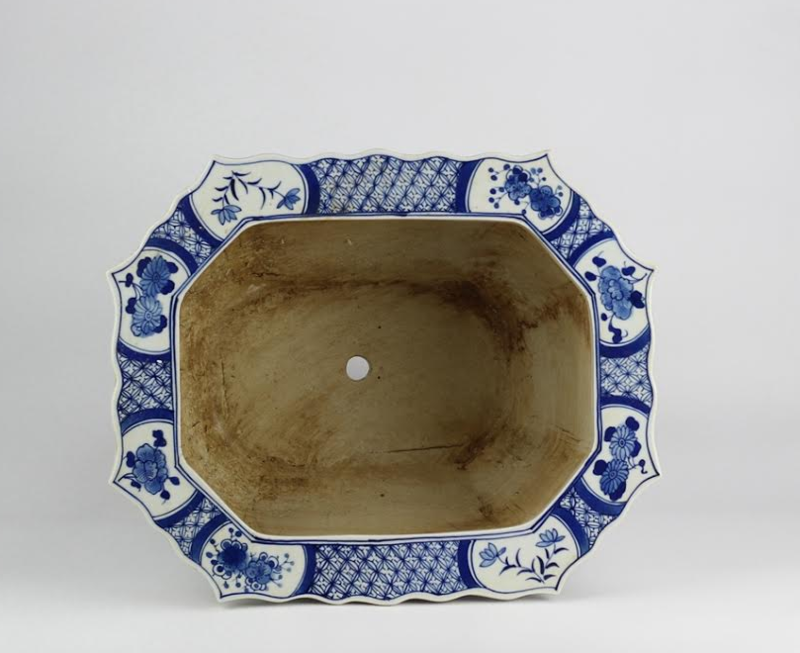 Item #2 is so perfect to use on my patio for casual entertaining and would make a great gift for any blue and white collector. Just ordered one and will probably wish I had another for a gift for someone special! Love everything here! So much to choose from! What a beautiful collection you have put together! Love the fishbowl for a dining room table arrangement and really taken with the white ginger jars. 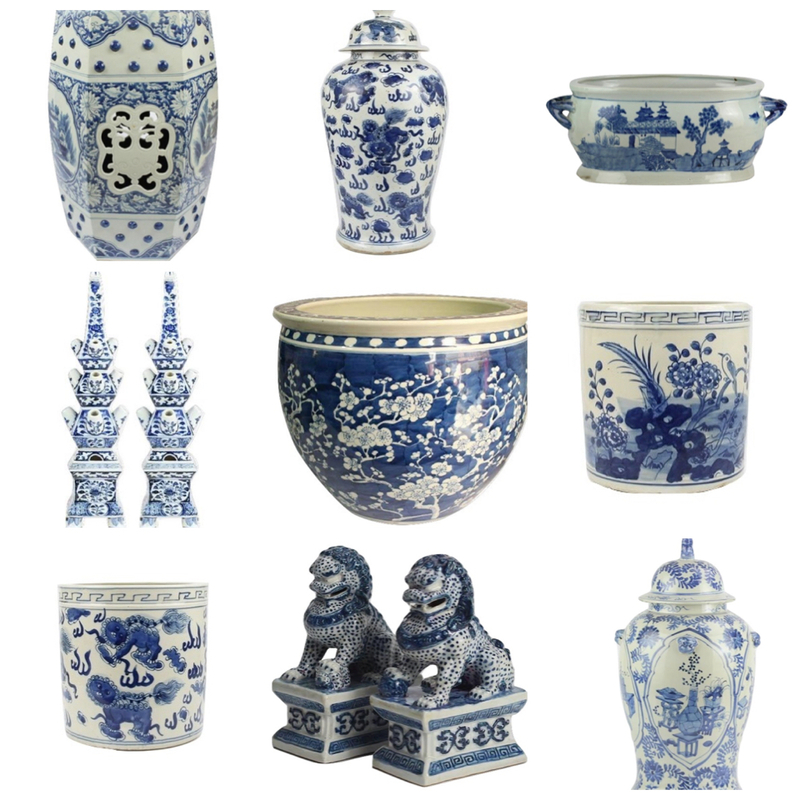 Beautiful arrivals … love your blue and white collection! I think you should put a picture of yourself on your blog. Since it is so personalized, it feels strange to not be able to connect a face to the writing. Even cooking blogs have pictures of the author. I am so looking forward to receiving my tulipiere!! I also love, love the garden seats! 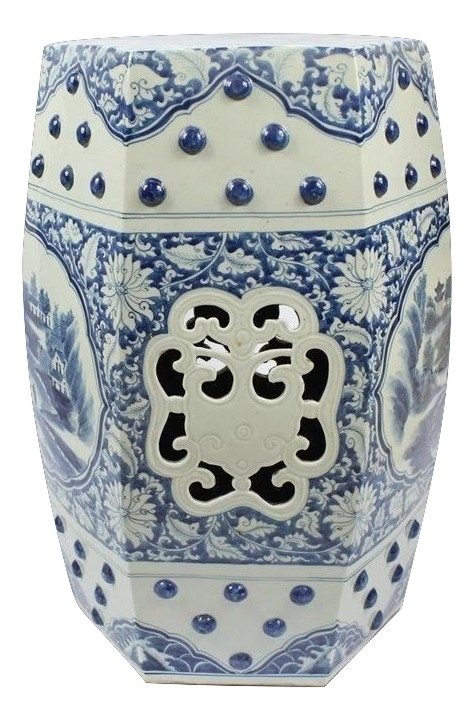 So many gorgeous blue and white pocelains – love them. I can see my spring flowers coming to life in so many of these items. Lovely selection!!! Makes me want a whole new house! Love the cherry blossom fishbowl..gorgeous items as expected. So many beautiful things! I love the replicated English planters! I found my thrill on Blue(berry) and White Enchanted Home Hill! Can we purchase a mug without 250$ order ? Wonderful selection of must have items………….with spring just around the corner, a tulipiere is a must! All of the items you have listed for sale are spectacular! I think I am going a bit overboard with my order, but it is just too hard to say no to several of these treasures! Really thinking about that new 20″ blue and white garden seat! Everything you offer is lovely. Your pieces are so beautiful and looks very ancient chinese pieces. I bought this time a beautiful trellis and paneled ginger jar. Very good quality. Thanks again. I’m eyeing the tulipieres! Love them! Fantastic giveaway! The tulipieres you’re brining in are so beautiful. Blue and white forever!! Your pieces are beautiful, well priced, and always classics. 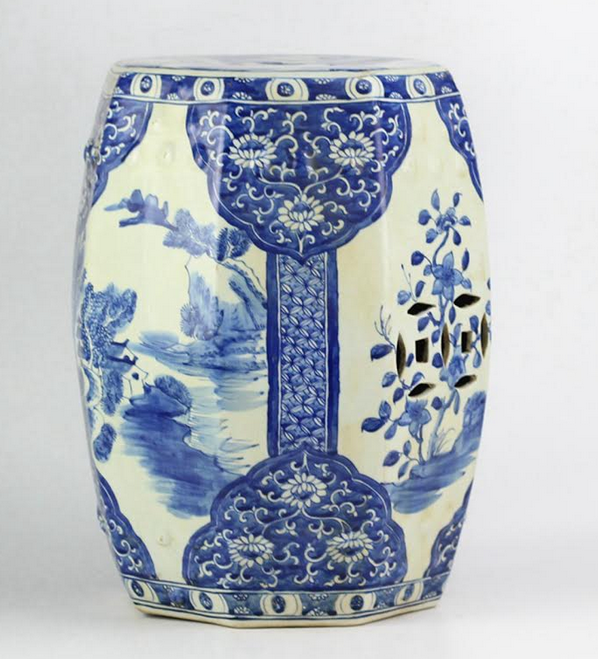 Everything I have ordered from u .. garden stool, large pair of ginger jars, and my bud face are things I treasure and they bring me blue and white joy everyday. I have my sister Jo and my friends on your website… u bring inspiration and happiness to all of us! So pleased with myself……I just ordered the big bowl which I have wanted for so long ! Love all of your things! Such an inspiration! I’ve been waiting for this lovely garden seat! Thank you. Thank you. Thank you. 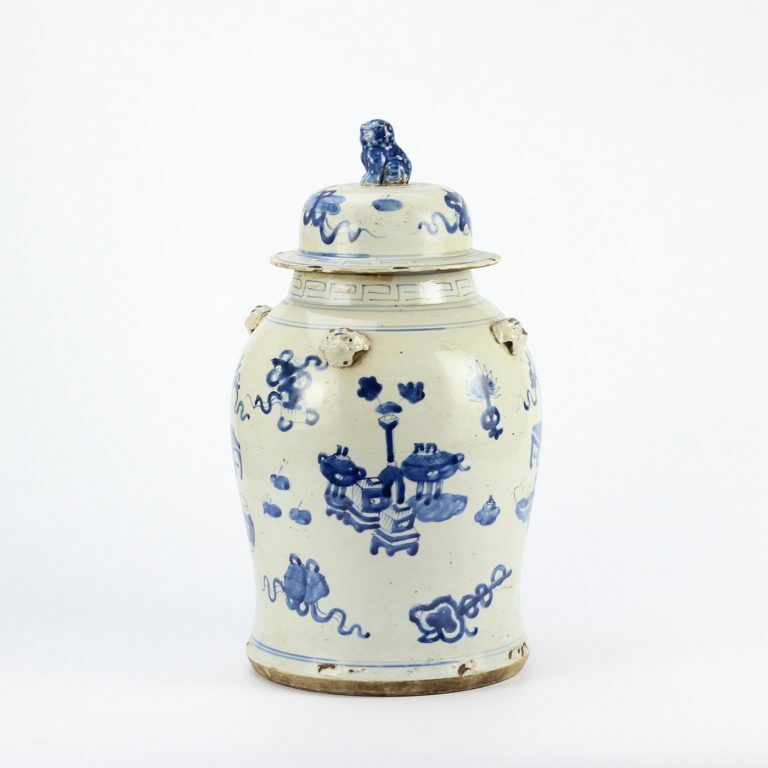 I always love the flat topped ginger jars. The blue and white never gets old. My living room needs a pop of color. Any of these would be beautiful. Thank you for offering a giveaway. Beautiful – as always – love the coffee mug! wow! such an amazing assortment! 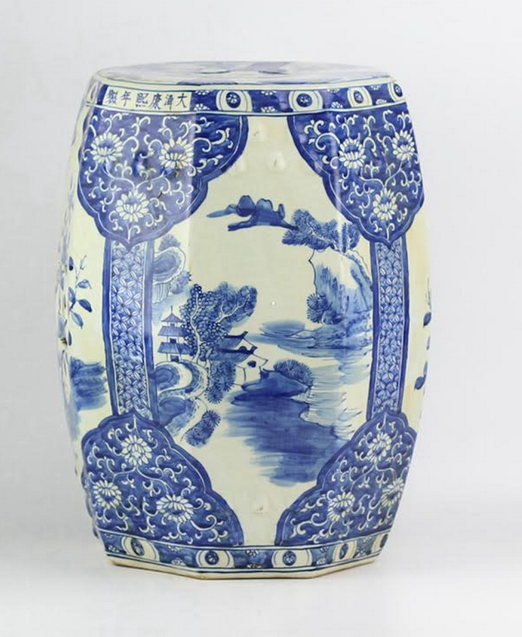 I am just starting my blue and white collection so I am really excited to have found you! I love all your blue and whites. So beautiful!! The 2 pieces I ordered will look beautiful in my newly remodeled kitchen. Just love all the blue & white. I love the new garden seat with raised “bumps” – just beautiful! Have loved everything I’ve ordered from you. How can you choose….so many beautiful items. As always, love the blue & white, but have to admit I’m loving the white & light gray ginger jars as well!! Decisions, decisions, hmmm. Want some white foo dogs too!! Awwww, always good to see Teddy. Love the blue & white, but Teddy always warms the heart. So many beautiful pre-sale items. What wonderful designs. Beautiful !! So glad blue and white is making a comeback…actually, to connoisseurs, did it ever go away? Thanks for giving us some great new classics. The large scalloped planter is stunning!! All of these items are just gorgeous! Oh I wish I could buy all of them but decisions, decisions! 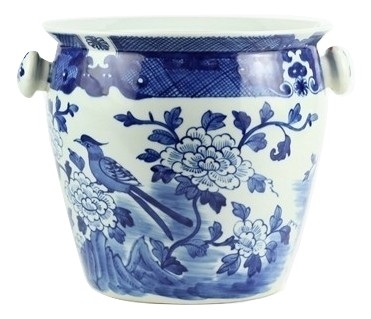 I am loving the new blue and white porcelain wine bucket – perfect! Oh Boy more Blue and White I love it and just in time for spring. I can’t seem to get enough! I am addicted and I would love to win the ginger jar. Thx so Much Tina ! Have become addicted to your posts. I really love the gold accents on the square planters! Love the garden seat! It would look great on my porch. Thanks Tina for bringing us something beautiful to see today. After a week of despair for country it’s refreshing to be greatful for the beauty in ones life. Your postings always make my heart sing. I hope I will always be aware of those in pain but remember God’s blessings and His promise for all people.